Home NEWS Why President Uhuru deactivated all his social media accounts on Friday morning. 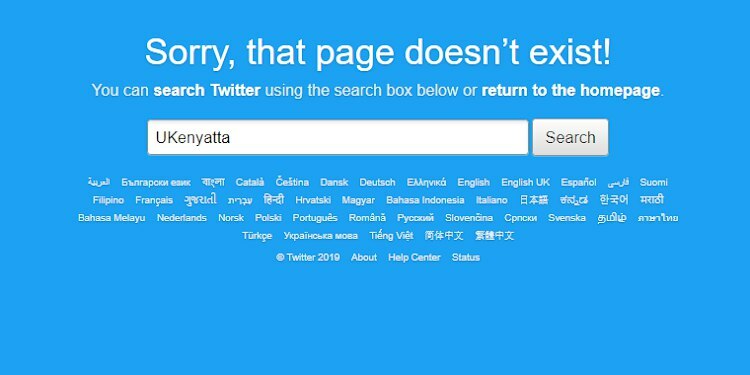 Why President Uhuru deactivated all his social media accounts on Friday morning. President Uhuru Kenyatta on Friday deactivated all his social media accounts minutes after he posted on corruption while in Namibia. Hawk-eyed netizens noticed this new developments and questioned why. “Sorry, that page doesn’t exist! You can search Twitter using the search box below or return to the homepage,” read his Twitter page. “It seems the President’s stand on corruption has generated all manner of reactions,” he continued.